Don’t get me wrong. I love the calendar and I am captivated by it. In fact, it’s one of my favorite publications. Beyond the photography and artwork, I appreciate the extra facts given about the calendar theme, daylight savings time, various holidays, and cycles of the moon. Every year, I purchase a new colorful one for my classroom bulletin board. I like to wait until a week or so after the new year, when prices are slashed. Some recent choices highlighted twelve months of: Lucille Ball, Bruce Springsteen, The Peanuts Gang, Anne Geddes Babies, pigs with wings dressed up like fairies, and puppies (which I don’t get anymore because it gives me furry cravings for more darling, misbehaved pups). I enjoy filling in the rectangular boxes with my upcoming events: appointments, workshops, celebrations, meetings, gym classes, dates, trips, and time off. I have a full calendar and as much as I love being productive, busy, and active, I have learned that I must manage my time to avoid resenting it and burning out. I’m middle age and multi-tasking is more daunting than it used to be. I have a full-time teaching career, part-time cyber job, grad school, writing assignments, and responsibilities to my two teenage daughters, two dogs, one kitty, one husband, one house, extended family, and social circles. Each month gets marked up quickly. I recently learned to say no to invites, projects, and jobs when necessary. Although I flock to people, I also need a “Day of Donna” once in awhile. Everyone deserves a block of time to be spent the way they want to, not need to. Sometimes I want to be alone on my block to rejuvenate me for the next thing I have to do. Even though the calendar gets filled, one can never know for sure what the next moment will bring. My calendar pages are simply plans for tomorrow. Among the plans, are the extra breaths that I take but never penciled in until this year. 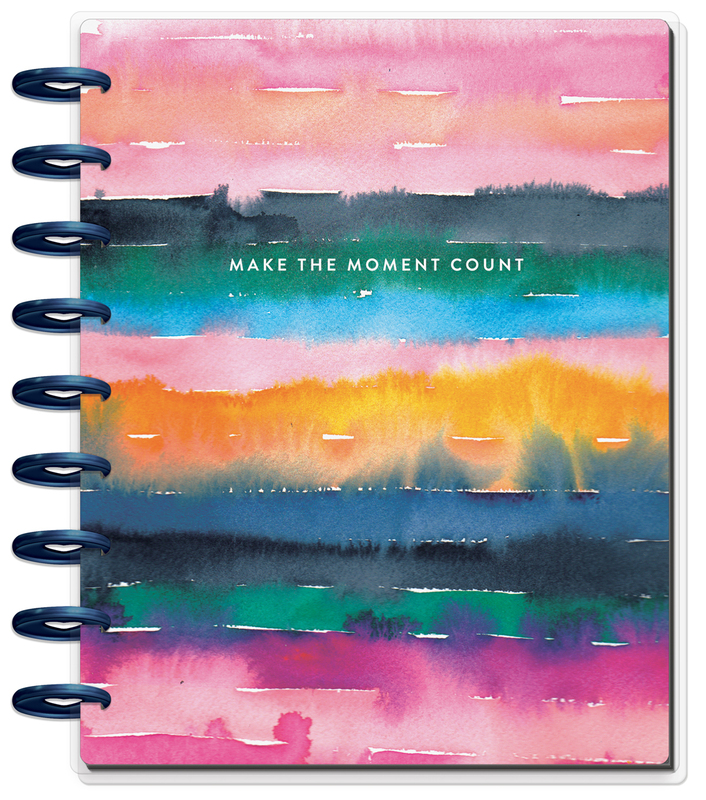 On New Year’s Eve, I purchased a Happy Planner, a medium-sized journal that is going to help me organize, reflect on, document, and improve my life.The shelves of planners at JoAnn Fabrics were picked over but I still found what I researched for. It provides the space to promise myself the breaths for downtime. For instance, last night I penciled in yoga and treated myself to that which I never make time for. Lately, I’ve been sleeping in too much, and planned to wake at 5:00 this morning. I fed the dogs then wrote my extra goals for the day in the Happy Planner: attend 5:45 am spin class, do a load of laundry, and empty the dishwasher. My life is jam packed, so I need to schedule ME-time a bit each day. I bet you do too. Take a breather to figure out when you can really inhale/exhale/repeat. Happy New Year! Wishing you a prosperous 2019 calendar that brings you light, peace, and growth. Shine on!